We are often called into venues to work on one installation; but this job was slightly different. The Loch Leven Campus in Kinross is a thriving community and school facility with extensive indoor and outdoor sporting resources. The fantastic sports and leisure facilities provide many sporting opportunities for both the children attending the campus and the wider community of Kinross. In 2009, we were commissioned to install 4 separate areas on campus. Last week a team of Hussey Seatway engineers travelled to Scotland to conduct its annual service on the four areas. 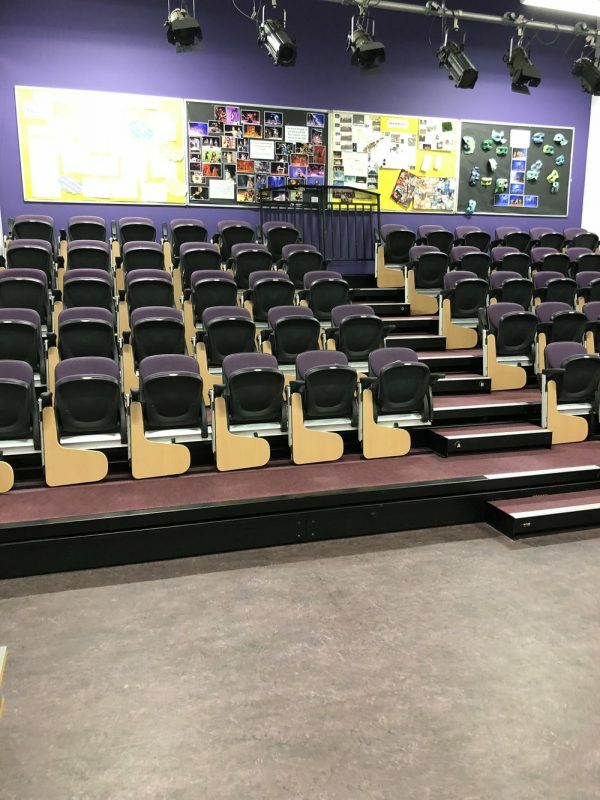 All the seating was still working brilliantly with no problems. 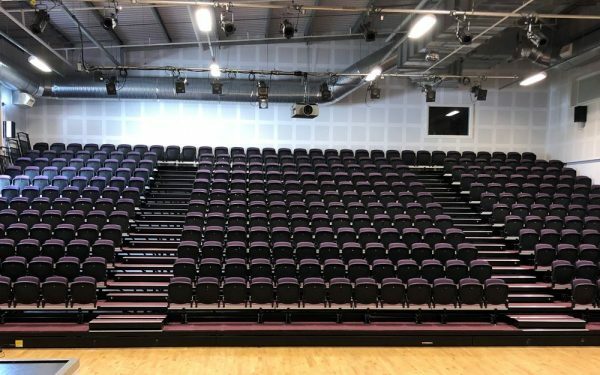 In the drama studio they have a Seatway TP platform with 60 padded Metro chairs. All have arms with an integral folding writing tablet. The largest of the four sites was the Assembly Hall with 352 seats, again on the Seatway TP platform. 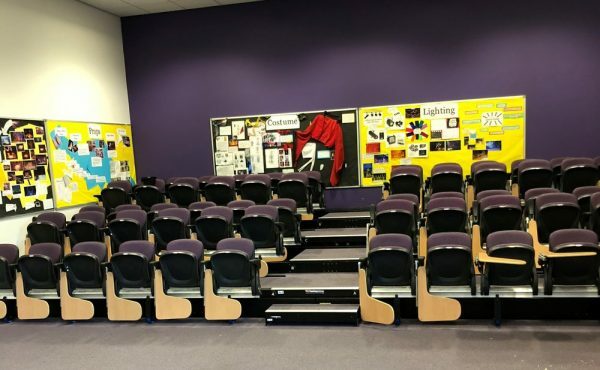 A classroom was fitted with 60 padded Metro seats also on the Seatway TP. 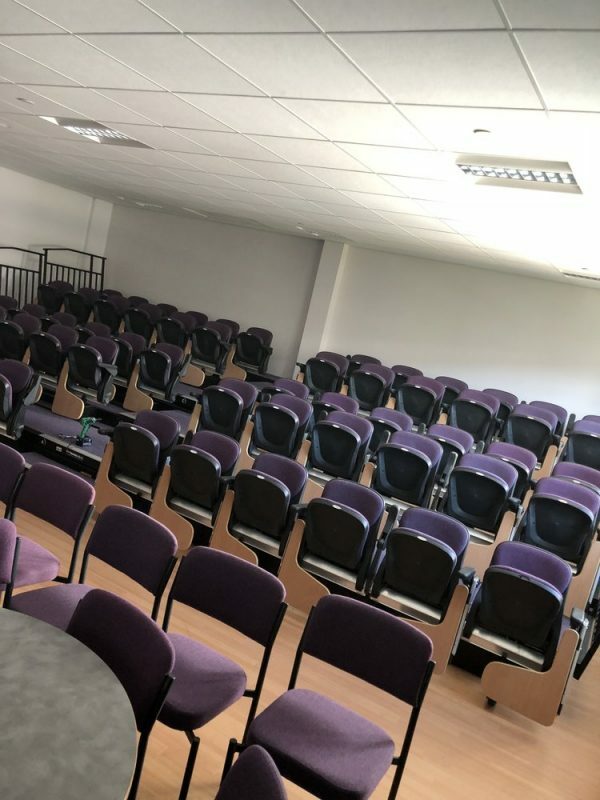 Not to be outdone by the pupils, the staff also sit in luxury as their staff room was updated to include 60 extra seats. Allowing planning, meetings and lunch times to be done in great comfort. Installations do not have to be huge, but they can radically transform multiple spaces in your venue to make them multi-use.